I’m not a tulle kind of girl. In the lead up to our wedding, one of my bridesmaids taunted me with the prospect of much tulle on our wedding day. 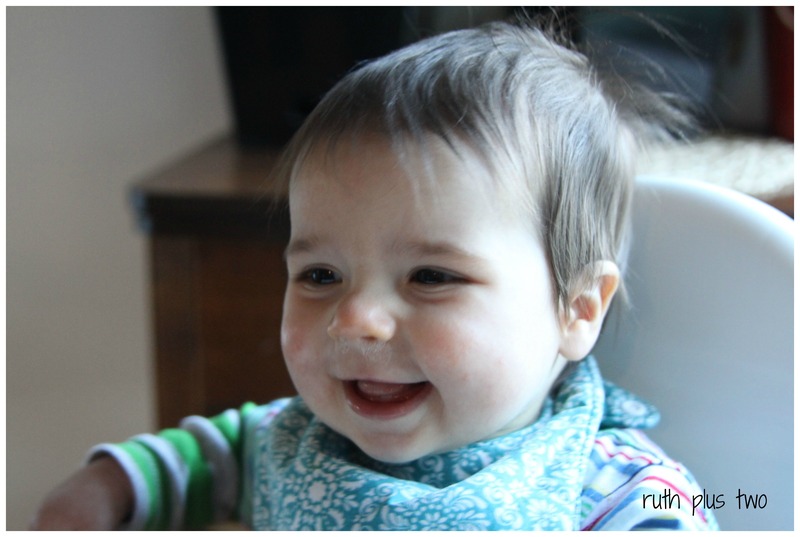 It just wasn’t going to happen – or that’s what I thought. As it turned out, she did sneak a little onto the parcel shelf of our car while I wasn’t watching. She’s lucky she’s a treasured friend! 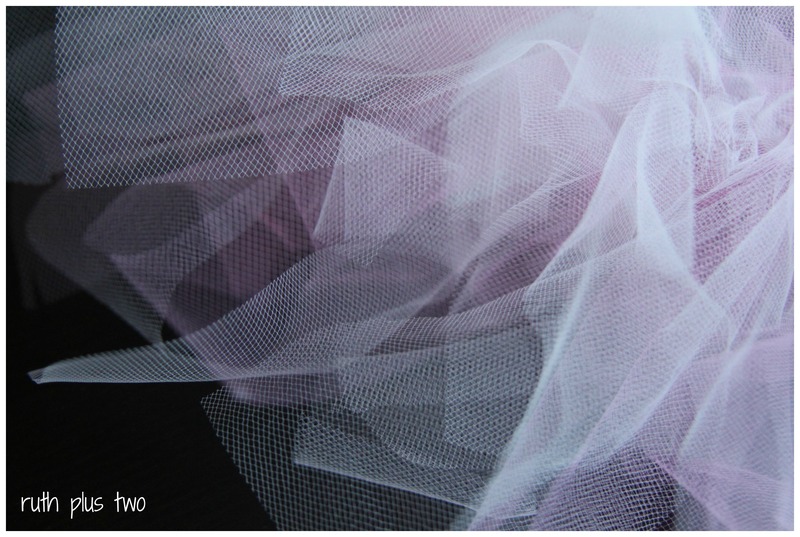 Tulle is the confectionery of the fabric world. I think it looks like coconut ice. It’s just not my thing. However. I’m busy working on clothes for dolls – for Elena’s Harriet, as well as for another birthday girl hankering after clothes for her All American Girl doll. Tulle definitely has a place in this pursuit…in the form of tutus. The tutus I made were so ridiculously easy I thought I should share the method. 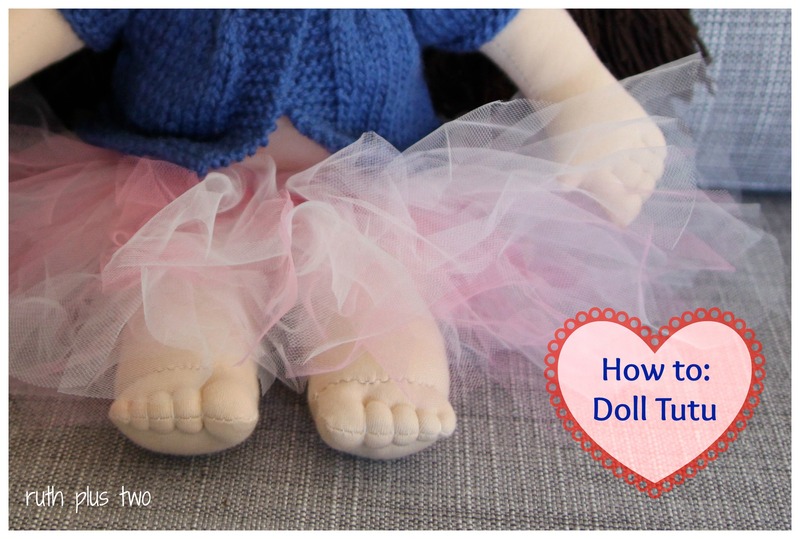 There are probably a million ‘no sew tutu’ tutorials online, but I experimented a little and thought the different effects were worth sharing, as well as a tried and true set of dimensions for a doll-sized version. The hardest part of the whole exercise was cutting the tulle into neat strips (handy tip: a rotary cutter, a quilting square and a sleeping toddler made it much, much easier). I followed Mom Tried It’s How to Make a Tutu tutorial. My only additional hint would be matching your thread to the colour of the elastic. I didn’t and it looks ugly. I used two shades of pink tulle. I took the dolls’ waist measurements and cut some elastic an inch or so shorter. I stitched the elastic into a waistband (use matching thread!). I worked out how long I wanted the tutu, and then doubled the measurement to make the strips. I haven’t taken photos of each step because I’d only be reinventing the wheel. I made the first tutu by cutting 1″ by 12″ strips of tulle, knotting them held two at a time (one of each colour) around the elastic. This tutu is bound for the All American Girl doll. The second tutu is made by tying 2″ by 12″ strips of tulle around the elastic, one at a time (alternating colours). 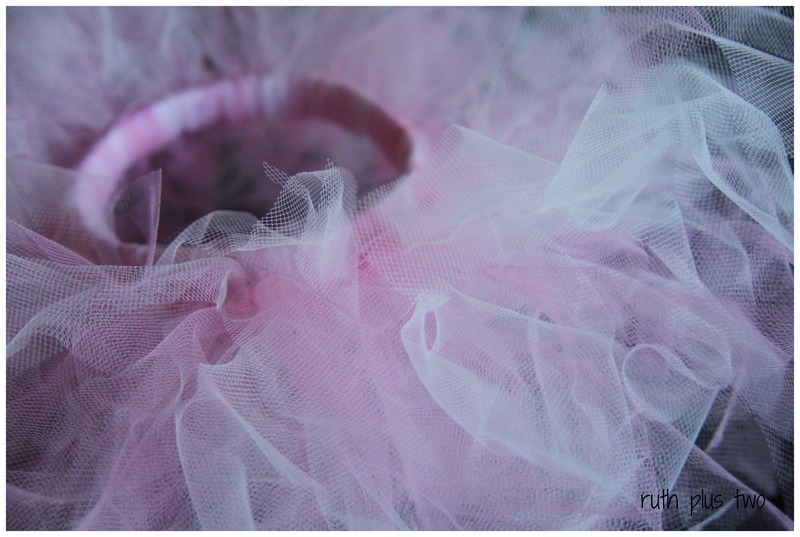 This is the tutu Harriet is wearing in the photos. 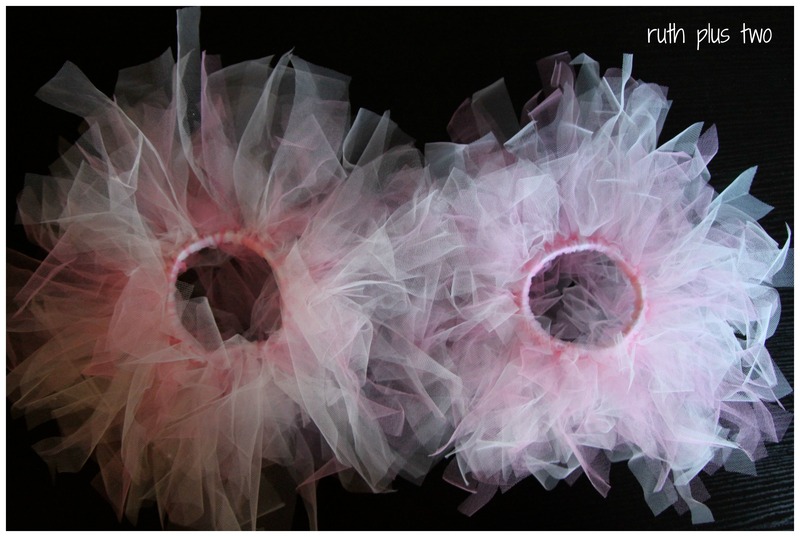 I used approximately two meters (a little over two yards) of tulle to make both of the tutus (one meter of each colour). There’s a surprising number of strips there! I like both of the tutus – the one made with the 1″ strips (on the right) is considerably more crazy than the one with 2″ strips. The wider strips make for a softer, calmer look (on the left). And that’s the easiest way I could find to make a tutu or two! I just have to share: Hugo still thinks I’m nuts. This entry was posted in doll clothes, sewing, steiner doll, waldorf doll. Bookmark the permalink. Once again, beautiful job! Hugo is so incredibly adorable. What a happy little fellow! I think I’ll be making one for Elena soon. I might need to find some non-pink tulle though. I’m not sure I could handle a massive puff of pink! These are just adorable! I know my girls will want these in their size….